Kumbartcho. It sounds a little like that fermented health drink that’s all the rage right now. And that’s strangely fitting – because a stroll through Kumbartcho Sanctuary at Eaton’s Hill was just the tonic I needed for shaking off the working week. 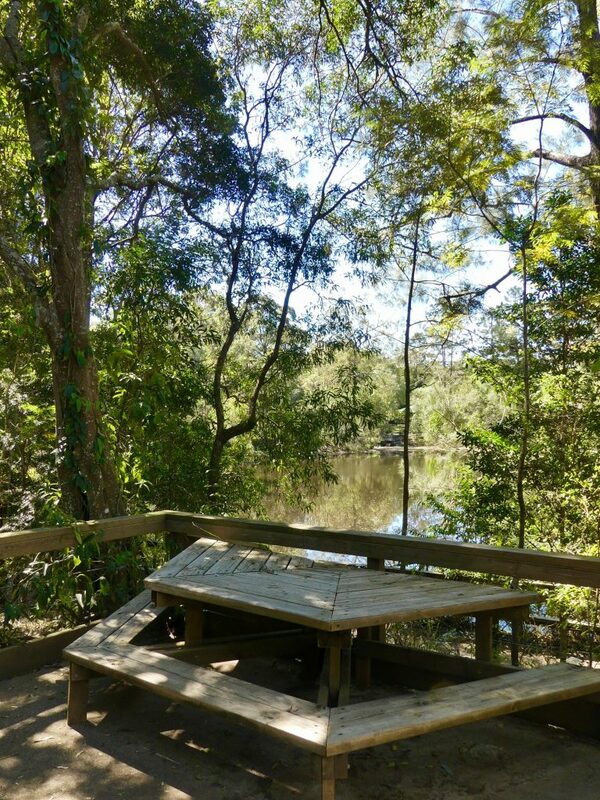 The sanctuary covers 6 hectares along a stretch of the South Pine River – on what was formerly the site of Bunya Park Zoo. There’s ample off-street parking and entrances to the sanctuary are well-signed. 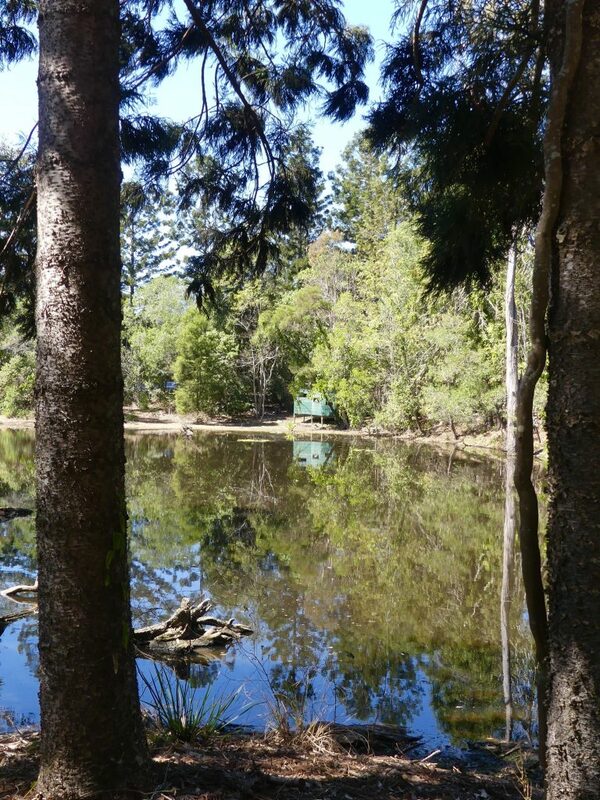 Head past the children’s playground and discover a dappled forest punctuated by massive Hoop Pines (Kumbartcho means hoop pine in the local indigenous language). A network of weaving trails and wooden walkways rise and fall through shady dells. Descend into Frog Hollow and you are welcomed by the soothing rrrrr-ribbet of resident amphibians – and the satisfying bounce of crossing a swinging bridge, a la Indiana Jones. Follow the signs to the Fairy village and rediscover your inner 4-year-old, very probably in the company of a gaggle of actual 4-year-olds. It’s a magical encounter with gnomes, elves and fairytale forest creatures. 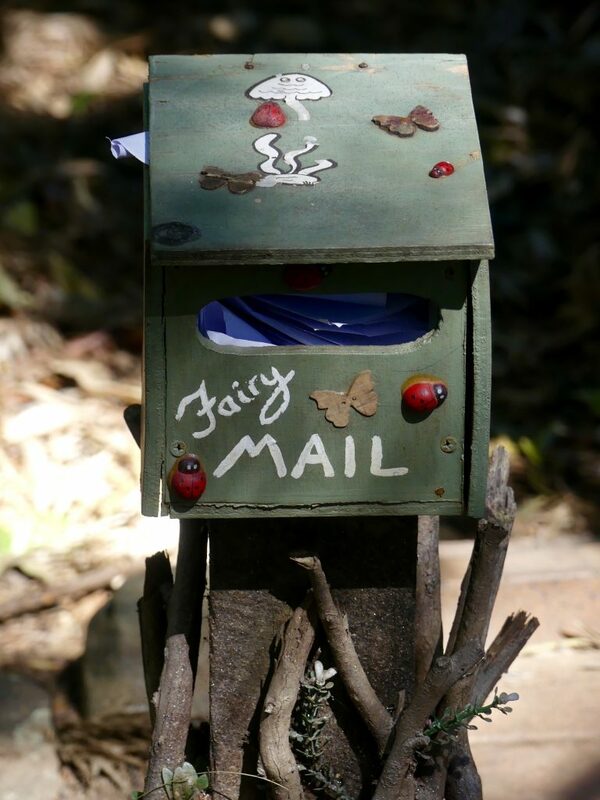 I loved the tiny mailbox crammed with little people’s letters to the fairy folk. Wander down to the lagoon and you’re likely to run into another almost-mythical creature. Lurking, troll-like, beneath the bridge is Myrtle the Saw-Shelled Turtle. She has a thatch of mossy green hair and a face only a mother could love. A passing volunteer at the Sanctuary explained that Myrtle hangs around, hoping for a feed from passers-by. But I suspect Myrtle is just super-friendly and inquisitive. Or maybe she’s the supermodel of the turtle world – because she wouldn’t stop posing for my camera. It takes a little effort to spot the less brazen residents of Kumbartcho. Crane your neck at the Koala Viewing Platform or make your way to the bird hide, stationed beside the lagoon. It’s a secret window into a world of sunbaking water dragons and contented ducks, napping beneath paperbark trees. Kumbartcho is a forest idyll smack bang in suburbia – and it may inspire you to explore further. 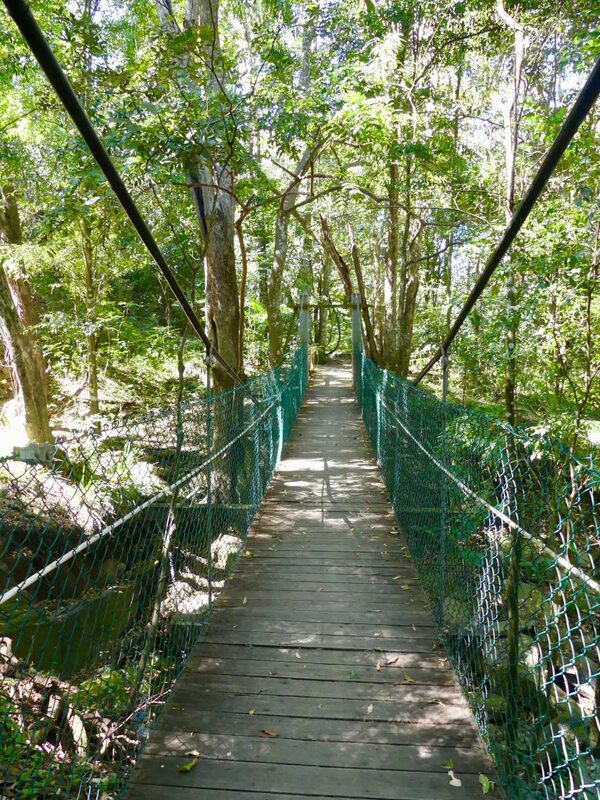 Sanctuary trails lead to longer rambles through riverine rainforest that follows the waterway in either direction. 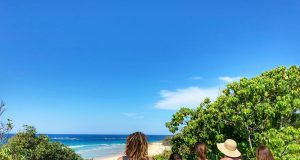 If you want to learn more about local flora and fauna, visit on a week-day and pop into Kumbartcho Sanctuary Environment Centre. There’s also a native plant nursery on-site, for snapping up bird or butterfly attracting additions to your garden.